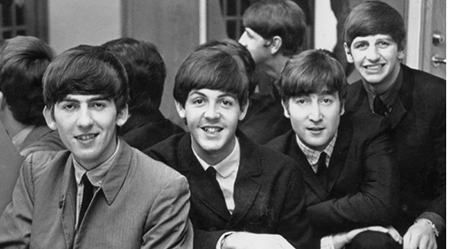 Going into the theater, I was excited: Ron Howard documents the Beatles. How great is that? Very. In fact, I've been thinking and talking about the film ever since. Watching the Beatles' concerts and life on the big screen, I was completely uplifted by their enthusiasm and humor. They gave everyone the generous gift of their music and contagious joy of life. When Paul was asked by a reporter in the early 60s, "How do you think you've influenced Western culture?" Paul replied, "It's not culture." A few years later when John was asked by a reporter, "What are you going to do when the bubble bursts?" John said, "Have a laugh." So they were all about the laughs. Plus music and love. These are the best gifts you can give, and they gave it all they had. Signourney Weaver shares her thoughts too. As a girl she attended the famous Shea Stadium concert in 1965. Reflecting back on that time, she said, "It was world music. We were loving them - all over the world." The quality of the film restoration is brilliant. I could see the fillings in John's mouth and the sweat on Paul's face (he even looks adorable when sweating). I felt like I was literally in the front row of their concerts and hanging out with them in the studio. It was an honor to experience the magic of their music - and to be inspired by their gusto. I trust this magnificent movie will have global distribution. It's important for the whole world to feel better and better.